MINI Cooper Hardtop 2-Door is a feisty way to move through an increasingly conventional world. With heritage dating back to 1959, the MINI Cooper Hardtop 2-Door comes loaded with cutting-edge technology, a finely tailored interior, and the latest performance engineering. Three available turbocharged engine options deliver impressive power via three selectable driving mode options. MINI Connected boasts a 6.5 inch display screen that seamlessly integrates technology and apps including Spotify® & Pandora®. Helpful available driving and safety highlights include Adaptive Cruise Control, Head-Up Display, and Rear-View Camera. 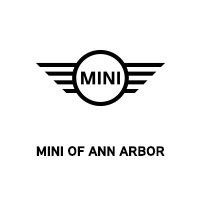 Each MINI can be customized to fit the distinct personality of its owner, with over 10 million unique combinations. With three individual trim levels, there is sure to be a perfect MINI for your lifestyle.